Government lawyers have asked the High Court to throw out a ruling to publish Gateway reviews into the feasibility and progress of the government's ID cards project on the basis of a piece of 319-year-old English legislation. The hearing is seen as a test case on whether Gateway reviews - independent assessments of risky IT and other projects at critical stages - should be subject to public scrutiny. If the judge accepts the case put forward by government lawyers, and he has indicated that he may, Gateway reviews on ID cards and other major schemes will remain secret for at least another six months, and possibly much longer. The government is using the 1689 Bill of Rights, which establishes the principle that parliamentary proceedings cannot be questioned by the courts, as one central argument in its legal battle to prevent Gateway reviews becoming public. The case will decide whether a ruling by the Information Tribunal that early Gateway reviews on ID cards be published should stand. Computer Weekly has campaigned for years for Gateway reviews to be made available to the public. 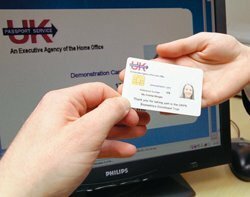 The information commissioner and the Information Tribunal have ruled that early Gateway reviews on ID cards be published. "Disclosure is likely to enhance public debate of issues such as the programme's feasibility and how [the ID card scheme] is being managed. It would also allow the identification of project risks and practical concerns," said information commissioner Richard Thomas. But the Treasury's Office of Government Commerce (OGC), which runs the Gateway scheme, wants reviews kept secret. It says that those interviewed as part of the reviews may not be frank and open if reports are to be disclosed. The OGC's barrister Jonathan Swift asked the judge, Stanley Burnton, to reject the ruling that the reviews should be made public in the High Court last week. Swift said Parliamentary Privilege granted by the 1689 Bill of Rights stopped the courts from questioning or examining parliamentary proceedings. This could undermine the Information Tribunal's ruling, which relied heavily on an investigation into Gateway reviews by the Commons Work and Pensions Committee. Swift, whose arguments about the Bill of Rights were backed by Martin Chamberlain, a lawyer representing the speaker of the House of Commons, suggested the tribunal might have been wrong to quote extensively from the committee's report. The judge appeared to support some of the arguments put by Swift and Chamberlain. If he throws out the tribunal's ruling, it would mean that the tribunal would have to reconsider whether Gateway reviews on ID cards should be published.